Surely, everyone has experienced being sick at one time or another. And have you noticed that there are some infections that heal on its own and there are some that requires antibiotics in order for it to be treated. For this reason, it is quite difficult to determine whether you have to consult a physician for a prescription or not. Most lay people are not equipped with the knowledge on how to discern whether an infection is caused by a bacteria or a virus. But it is essential to know the difference because one of the major problems about health today is the increasing antibiotic-resistant bacteria due to over prescribing of antibiotics to treat viral infections. 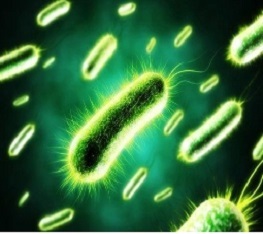 From the word itself, bacterial infection is caused by bacteria. Bacteria are single celled microorganisms that multiply through cell division and thrive in different types of environment. But not all bacteria cause infection. In fact, some bacteria help the body break down nutrients and inhibit the growth of bad organisms. Bacteria that are known to cause infection are pathogenic in nature. They are usually the ones that cause pneumonia, ear, throat, and skin infections, bacterial meningitis and the like. Usually the bacterial infection are more severe, it can be very detrimental, especially if it is left untreated. It is a good thing that there antibiotics available to us today. This makes it easier to combat these bacteria quickly and effectively. Viral infection is caused by a virus. These are the tiniest microorganism on earth, which require a host to thrive. Usually they hide within the cells and when the immune system is weakened, there is a tendency that these viruses can bring an attack causing an infection. Bear in mind that the body has an immune system that combats infections. Most of the signs and symptoms manifested are just the effects of the immune system trying to ramp up the infection. 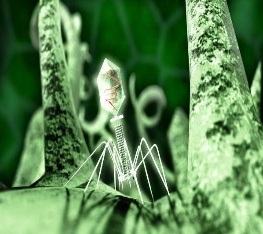 Eventually, most viruses do their own thing and leave – thus they are known to cause self-limiting diseases. *Vaccines were developed that drastically reduces the incidence of viral infection. Although bacterial and viral infections have differences, they also have similarities. So when in doubt, it is essential to seek for a professional medical advice. But don’t wait until you get sick – prevention is still the best medicine. Have a healthy lifestyle and boost your immune system. You will have lesser chances of catching an infection. Jade Sison. "The Difference between Bacterial and Viral Infection." DifferenceBetween.net. November 6, 2018 < http://www.differencebetween.net/science/health/the-difference-between-bacterial-and-viral-infection/ >. Well can someone help me out so it happen last year when i have this itching feeling on the side of my lips n the same day the bump turn into clear fluid and then whej the fluid go away it swell up for like 3-4 days after that it stop for a yr n came bk in july n the only thing to help it go away is peroxide i think it’s bacterial infection because i had many urinary track infection n maybe the bacterial is going thur my body …can someone help me figure it out?